PARIS -- Renault blocked former CEO Carlos Ghosn's pension and said an internal probe had identified "questionable and concealed practices" by the fallen auto industry hero. Certain expenses "are a source of concern, as they involve questionable and concealed practices and violations of the group's ethical principles," Renault said in a statement on Wednesday after a board meeting. The board pointed in particular to "concerning relationships with third parties, management of conflicts of interest, and protection of corporate assets." Other expenses of several million euros by RNBV, the Amsterdam-based company overseeing a partnership with Nissan, also raise concerns, Renault said. The latest findings may lead to legal action in France, after earlier transactions were brought to authorities, the company said. Wednesday’s board meeting discussed the findings of probes at Renault and RNBV. The latter company suffers from "serious deficiencies in terms of financial transparency and expenditure control procedures," Renault said. The auditors carrying out the investigation at RNBV are examining the extent of actual work billed by consultants, including French politician Rachida Dati, a person familiar with the matter has said. They are also looking at payments made for Ghosn’s Lebanese lawyers, an extended weekend in Copacabana organized by Ghosn, and an event at the Palace of Versailles for the anniversary of the Renault-Nissan alliance, the person said. Renault and Nissan have uncovered payments made under Ghosn that allegedly went toward corporate jets, a yacht and his son’s startup, sources said. The transactions were revealed in probes and amounted to millions of euros to companies in Oman and Lebanon that may have then been used for the personal benefit of Ghosn and his family, sources said. A spokeswoman for the Ghosn family denied the latest allegations and described them as part of a smear campaign to make the former executive look greedy. A spokesman for Ghosn’s son’s startup, called Shogun, denied the allegations. The San Francisco-based company has a platform for home improvement financing. Renault alerted French prosecutors last week after uncovering millions of euros in payments described as dealer incentives to Omani distributor Suhail Bahwan Automobile (SBA), sources close to the company earlier told Reuters. Ghosn is awaiting trial in Japan on charges that he failed to report $82 million in Nissan pay he had arranged to receive after retirement. He has also been indicted for temporarily transferring personal investment losses to Nissan and steering $14.7 million in company funds to a Saudi business associate. 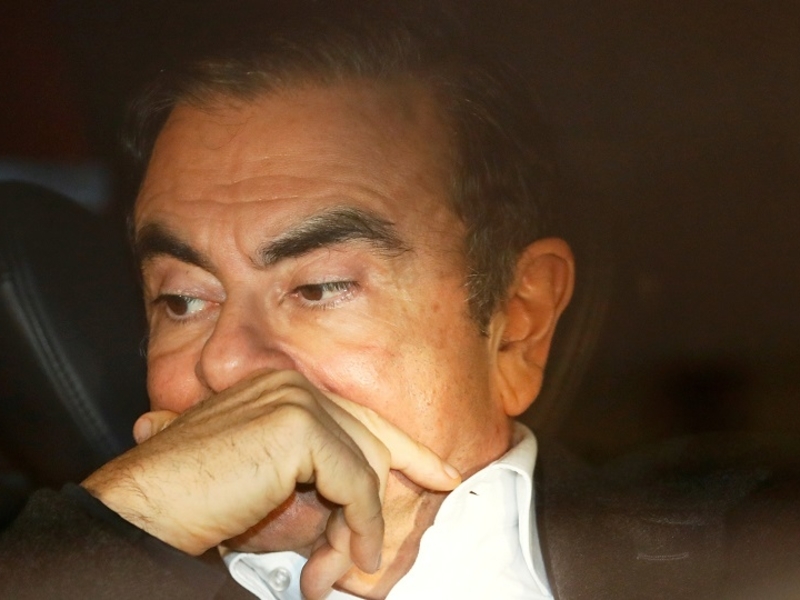 Ghosn was arrested again on Thursday on suspicion of using Nissan funds for his own purposes. Ghosn was ousted as Nissan chairman within days of his arrest and was forced out as Renault chairman and CEO in January. In his resignation letter, he notified the board that he was entitled to his pension, a person close to the company said. "But his lawyers got it wrong," the source said after a board meeting on Wednesday. Ghosn's resignation means he "is not entitled to any pension" from his defined-benefit plan worth 765,000 euros ($859,000) annually for life, Renault said. The board recommended that shareholders block 224,000 euros in Ghosn's variable pay for 2018 at the automaker's annual meeting on June 12. The board approved governance changes reducing the size of the board to 18 members from 20. Ghosn, 65, will Renault's board along with long-serving director Philippe Lagayette and Cherie Blair, the wife of British former prime minister Tony Blair while Annette Winkler, the former head of Daimler's Smart brand, will be proposed as a new director. The pay is less than what Ghosn earned at Renault. Last year, shareholders only narrowly approved a 7.4 million-euro pay package for 2017. For 2018, the carmaker scrapped millions of euros in payouts to him including benefits from a non-compete agreement he signed in 2015 and stock-based compensation that was conditional on him staying at the company. Ghosn got a fixed salary last year of 1 million euros.